The first thing you need to do is find Tenders that fit your business. Tenders and RFQ’s are advertised in various places, ranging from newspapers to websites. Make sure you provide all necessary information as set out in the tender application. These include updated tax clearance certificate and shareholding certificates, amongst other requirements. Landing a tender and the tender process can be a time-consuming and costly exercise, especially if you don’t understand the tender process, or you don’t adhere to the necessary requirements. A bid in the tender process is issued by a private company or government department when they need to obtain specific goods or skills. The advertised bid is a Request for Quotations (RFQ) in the tender process. The term ‘Letter of Intent’ (LOI) is typically used to describe a letter from an Employer to a Contractor (or from a main Contractor to a Subcontractor) indicating the Employer’s intention to enter into a formal written contract for Works described in the letter, and asking the Contractor to begin those works before the formal Contract is executed. While an Letter of Intent may come in many forms, it’s essentially a communication expressing an intention to enter into a Contract at a future date. When is a Performance Guarantee called on? Building Contractors often ask us the question: When is a Performance Guarantee called on? When your company starts bidding on projects for cities, provinces or municipalities, you’ll be expected to provide assurance that you can meet the obligations detailed in the Contract. This assurance comes in the form of a Performance Guarantee. Basically, what happens is that a surety company (an insurer or bank), for a certain fee, steps in and guarantees your performance. 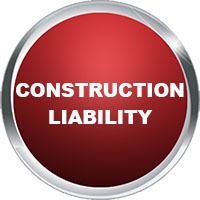 Surety companies don’t work directly with Contractors. Instead, they partner with brokerages like us. Contract Guarantees in the construction, engineering, manufacturing and mining service industries are almost mandatory. 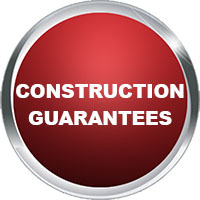 Our range of Construction Guarantees are as varied as your requirements. Here’s a short list of the four types of Contract Guarantees and what they insure.